Sounds effect technician Hu Ting-yi, who was voted outstanding Taiwanese Filmmaker of the Year at the 54th Golden Horse Awards in 2017, has practiced Foley, the art of using physical props to recreate everyday sound effects for film, for the past 42 years. During his professional career, Hu has witnessed several waves of high prestige for Taiwanese cinema. 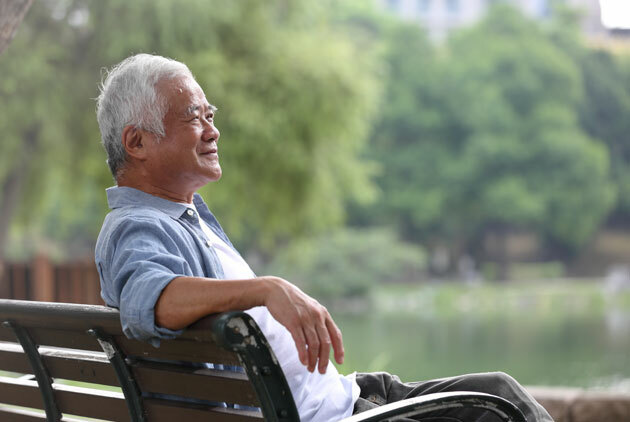 He has visited Nantou County in central Taiwan in his private and professional life many times, yet each trip still lifts his spirit and makes his heart beat faster. As Taiwan’s most veteran Foley artist, Hu has created the sound effects for more than 100 movies, from martial arts action films in the beginning and The Strawman and Banana Paradise of the nativist realism period to more recent acclaimed productions such as The Most Distant Course and Jump Ashin! 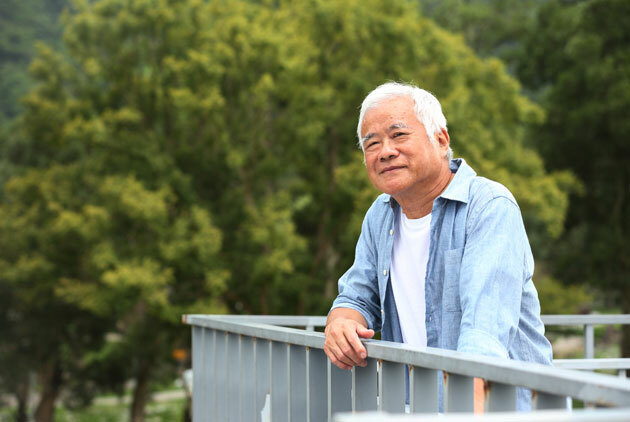 He has witnessed more than 40 years of Taiwanese filmmaking firsthand from inside the industry. When Hu leaves his studio, where he uses all kinds of props to reproduce sound effects, he is not only a sound magician producing magical sounds with mundane objects. He also likes to prick up his ears to take in the various voice expressions in his surroundings. Hu still recalls his very first visit to Nantou when he was not even 20 years old. At the time, he accompanied his church’s priest to Sun Moon Lake to see a friend. Although Hu had not yet entered the movie industry, he had already begun to listen to sounds almost meditatively. “I remember that Sun Moon Lake was very tranquil then, when indigenous children jumped right into the lake with a splashing sound that echoed in the spacious mountain forest. This became my deepest sound memory of Sun Moon Lake,” recalls Hu. The second trip to Nantou turned out to be equally unforgettable. “When my wife and I went on our honeymoon, we went to Xitou,” exclaims Hu. He vividly remembers the squeaky sound that the bamboo bridge spanning University Pond made when people walked across it. Such sounds that are created when natural materials rub against each other are hardly ever heard nowadays in the city. When Hu looks at old photographs, he feels as if he is still hearing these sounds. Interestingly, Hu is not only able to recreate unimaginable sound effects using all kinds of props in his studio but also skillfully uses his lips, tongue and mouth to imitate the sounds of wild animals such as croaking frogs and chirping birds. Hu’s vocal imitation skills come in handy when it is impossible to record animal sounds live in nature. While honeymooning with his wife, Hu also practiced his skills, imitating the sounds he heard around him. He curled up his tongue and produced croaking sounds which made the frogs join in, ribbiting. Thus, Hu kept croaking, in a continuous dialogue with the frog choir. 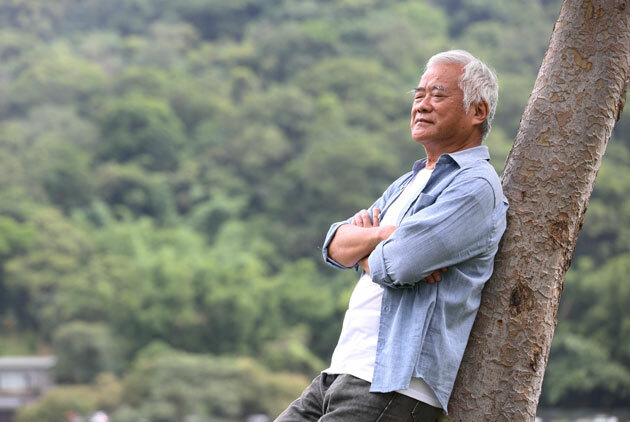 After joining the film industry, Hu returned to Nantou many times for shooting, following the camera crew to Wushe (Musha), the Aowanda forest, or the Bunun tribal village of Tamazuan (Dili)…with each place giving him unforgettable aural memories. “When you come to Nantou, you will find out that even the sound of footsteps on the road is not the same,” remarks Hu, explaining that city dwellers walk on asphalt surfaces that produce a heavy, muffled sound. The sound of footsteps in the countryside is different as mud, brushwood, gravel and fallen leaves generate sharp and clear sounds so that every single step can be heard clearly. Sometimes Hu will even collect fallen leaves in the mountain forest to use them in the studio to reproduce the sound of footsteps in nature. “My most unforgettable trip to Nantou is when I went to Tamazuan; there I really felt that ‘people’ are the most beautiful scenery,” recalls Hu. As evening approached, Hu, with his acute sense of hearing, would quietly sit down in the middle of the village and listen to the lively voices and laughter of playing children and conversations between grandmas and their grandchildren in the melodious Bunun language. Although Hu didn’t understand a single word, he thoroughly enjoyed the affectionate, warm atmosphere that was infectious beyond description. These sounds still echo deep in Hu’s memory; they have left a deep mark in his brain, again and again evoking the indelible tranquility and peacefulness of Nantou.